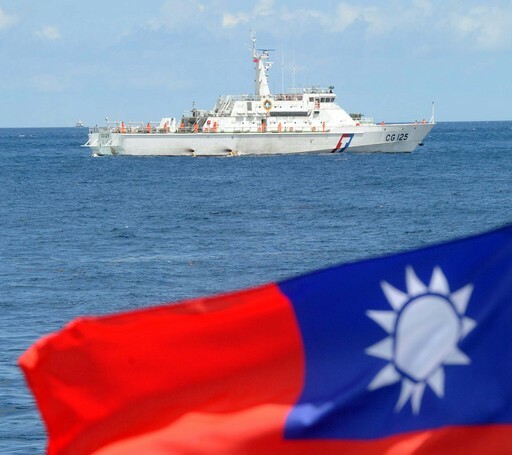 Taipei, April 11 (CNA) Taiwan did not back down on its sovereignty over the Diaoyutai Islands during negotiations on a pact with Japan on fishing rights in their overlapping territories in the East China Sea, an official said Thursday. "We stuck to our stance that we have sovereignty over the Diaoyutais," Ministry of Foreign Affairs spokeswoman Anna Kao said at a news briefing one day after the pact was signed. "We absolutely did not back down." Kao's remarks came in response to concern that Taiwan gave concessions on its sovereignty over the disputed Diaoyutai Islands, as the agreement does not apply to the waters within 12 nautical miles of the islands. Waters within 12 nautical miles are seen as a country's territorial waters. Kao said the negotiations on the agreement were focused on how to ensure the rights of Taiwanese fishermen to operate in waters surrounding the Diaoyutais without intervention from the Japanese authorities. The two sides also agreed that the pact will not undermine each other's territorial claims over the islands, she added. Reiterating Taiwan's sovereignty over the islands, Kao said Taiwan "will continue to negotiate with Japan on the dispute." Under the terms of the agreement, Taiwanese and Japanese boats can operate freely in a 74,300-square-kilometer area around the Diaoyutais, according to the Fisheries Agency. This gives Taiwanese fishermen an additional 4,530 square kilometers in which they can operate free of harassment, the agency said. Under the agreement, the two sides will also set up a bilateral fishing commission to deal with other issues related to fishing in disputed waters, mainly those near the Diaoyutais. This will be an institutionalized mechanism for both sides, Kao said, adding that the commission will meet annually, with additional meetings convened if necessary. It was the 17th round of fishery talks between Taiwan and Japan since 1996 to try to iron out their differences on fishing rights in the disputed waters. The islands, some 100 nautical miles northeast of Taiwan, have been under Japan's administrative control since 1972 but are also claimed by Taiwan and China.